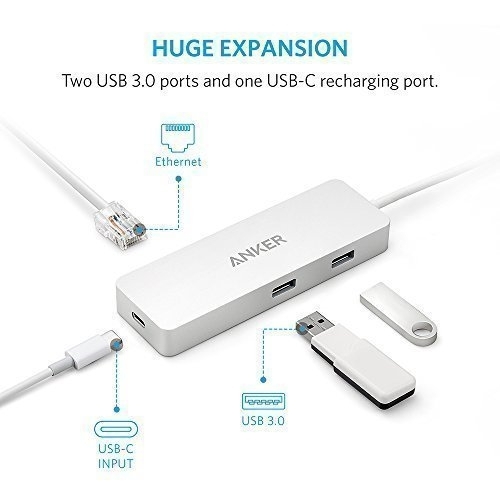 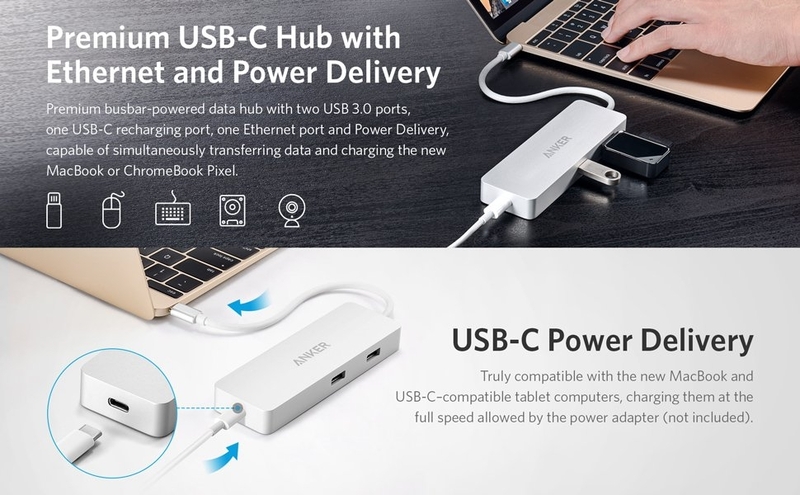 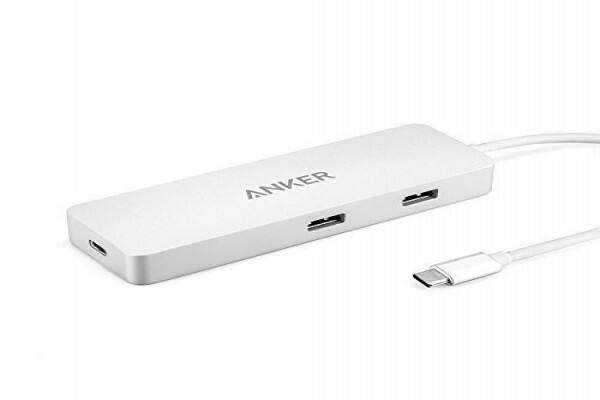 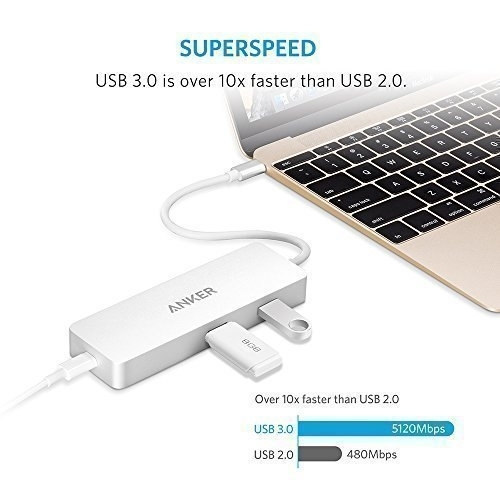 With 2 SuperSpeed USB 3.1 Gen 1 ports, Anker's Premium USB-C Hub with Ethernet and Power Delivery can transfer data to and from multiple devices at up to 5 Gbps. 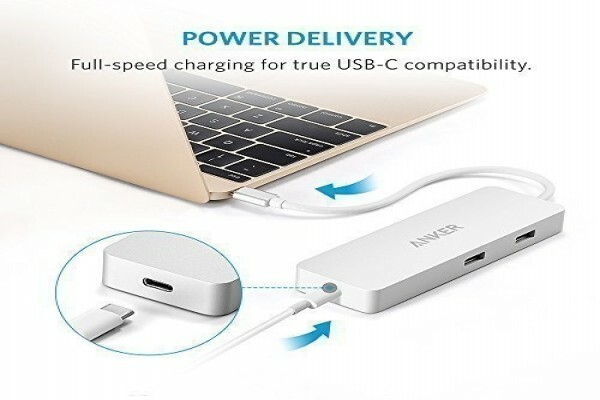 Charges the new MacBook, ChromeBook Pixel and USB-C-compatible tablet computers with their original chargers while hub is in use. 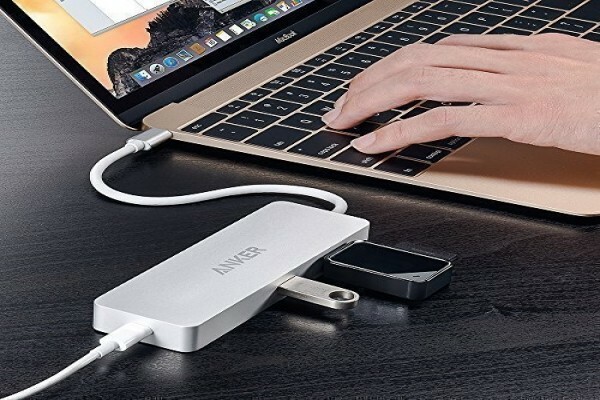 The Gigabit Ethernet port allows for a high-speed wired Internet connection so that your MacBook doesn't have to rely on wireless connection. 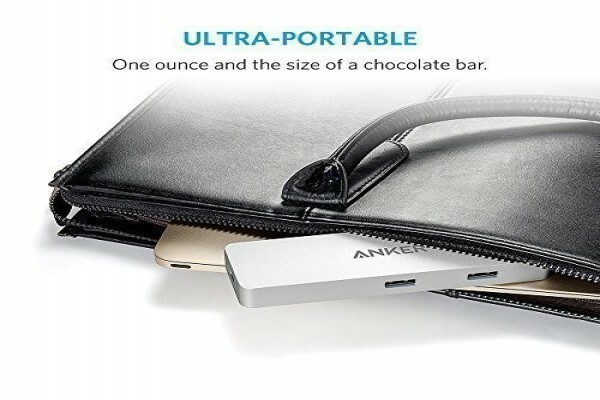 Incredibly compact-about the size of a chocolate bar and weighing about an ounce. 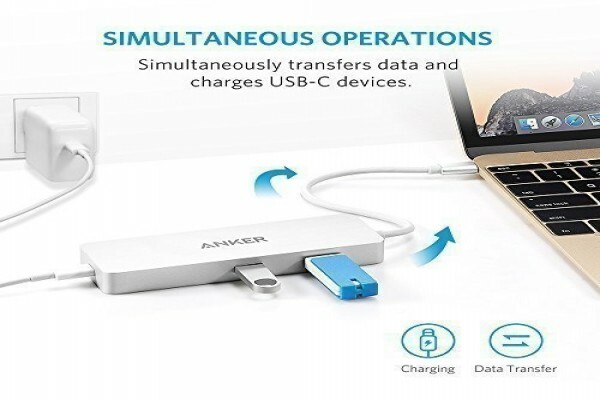 Easily slide it into your pocket, bag or suitcase. 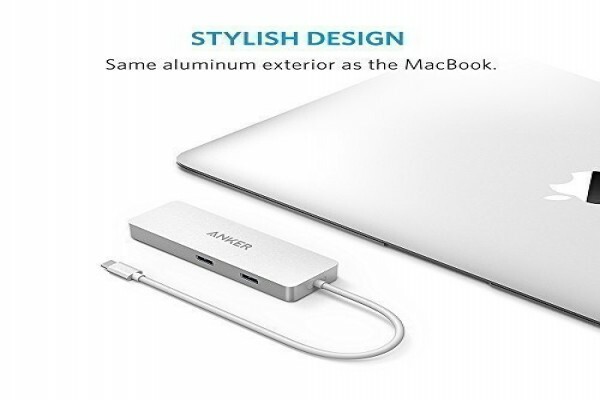 Sleek minimalist design with aluminum-alloy finish perfectly complements the new MacBook.